Climbing a narrow stone path alongside the remains of a 2000-year-old wall, I emerge at a vast hilltop ruin. Three-metre thick Roman walls frame a view of mosques, churches and Soviet-era apartments stretching out to snowy mountains in the distance. A woman walks a labrador through the ruins like it's just another city park and I feel like I'm the only tourist in Plovdiv. Where, you ask? 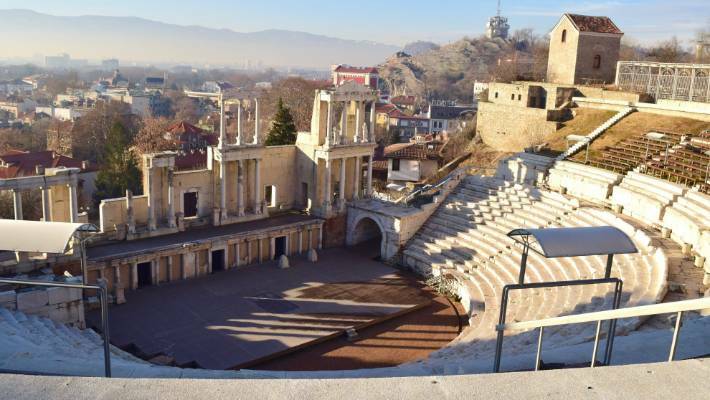 Situated in the south of Bulgaria, Plovdiv is the country's second-largest city and one of the most ancient settlements in Europe – people have lived in the area for over 8000 years. Bordering Turkey, the Black Sea, Greece and other Balkan states it sits on the cross roads of East and West. It has been ruled by Thracians, Persians, Romans, Ottomans and was a satellite state of the Soviet Union. But now the country looks West and is a member of NATO and the EU. The influence of each era can clearly be seen throughout the city and officials hope the Culture Capital designation will herald a tourism boom, boosting the economy in what is the poorest country in the EU. But can Plovdiv really compete in a continent as well-endowed with attractions as Europe? 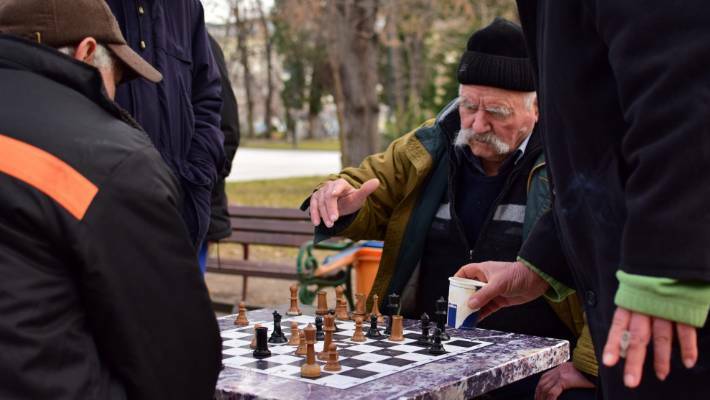 Chess-playing old men are a feature of one of Plovdiv's central parks. Plovdiv's Old Town hosts a series of cobblestone streets, traditional Balkan buildings and ancient ruins. I'll admit, I hadn't heard of Plovdiv either and had booked a trip to the city on a whim. I arrived in midwinter with no itinerary planned for my two-day visit. Luckily, I discovered it was impossible not to keep stumbling across the ruins of one civilisation or another. Directly across from my hotel was the Roman Forum of the ancient city Philippopolis, named after Alexander the Great's dad who conquered the area in 347BC. In an excavation five metres below street-level, I found a jumble of Roman roads, marble columns and the remains of ancient buildings. This was all sandwiched between a motorway and an austere Soviet-era post-office building, a clash of the ancient and the modern that I came to understand defined the city. I walked to the nearby "Old Town" and found myself in a labyrinth of narrow cobblestone streets winding around medieval-looking buildings. 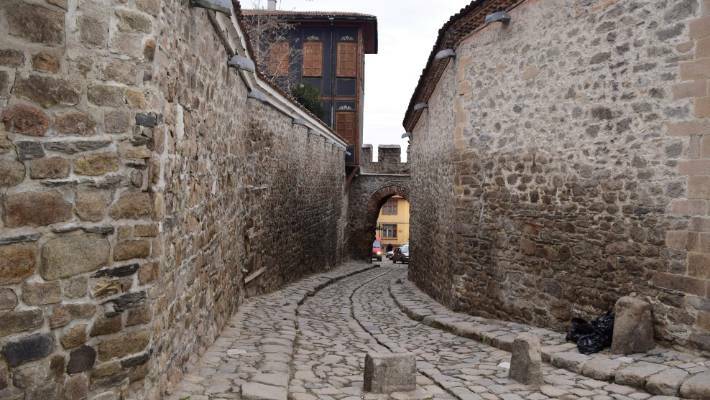 The area is on a rocky outcrop, one of three hills of syenite rock that form the ancient heart of Plovdiv and it's filled with restaurants, museums and beautiful gardens and courtyards. But the centrepiece is a huge Roman amphitheatre. Rounding a corner on the edge of the Old Town, the sight stunned me. It was big enough to hold 6000 people and is one of the best-preserved Roman amphitheatres in Europe. It was built in the first century but, despite its size and central location, was only rediscovered in the late 1960s. It has since been meticulously restored and still regularly hosts concerts. The main street of Plovdiv is lined with pastel-coloured buildings housing the kind of high street shops found throughout Europe. A YouTube search revealed recent performances by thrash metal bands, with mosh pits bouncing on the stone terraces, while Tom Jones was set to perform later in the year. Anywhere else in Europe, you'd expect to see hordes of selfie-snapping tourists, but the place was deserted, except for dozens of cats sunning themselves on the terraced seats. Incredibly, a four-laned highway ran through a tunnel beneath the amphitheatre. However, my favourite part of the Old Town was Nebet Tepe, a sprawling 2000-year-old ruin with views of the city and surrounding mountains. 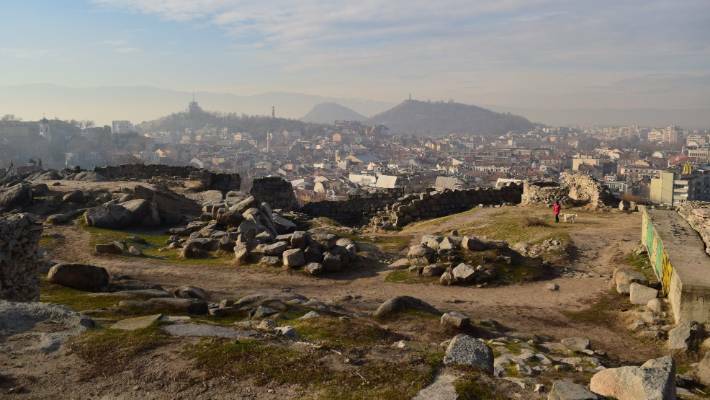 People had lived on the hilltop since 4000BC and it was one of the oldest archaeological sites in Plovdiv. Looking down on the city below was like seeing thousands of years of civilisation in a single glance. On the hilltop were the remains of an ancient fort, while below I could see towering minarets from Ottoman-era mosques, bell-towers from old Slavic churches and concrete Soviet apartments next to billboards for perfume and McDonald's. Again, I was the only one there and I picked my way around the huge stone walls of the ruins. 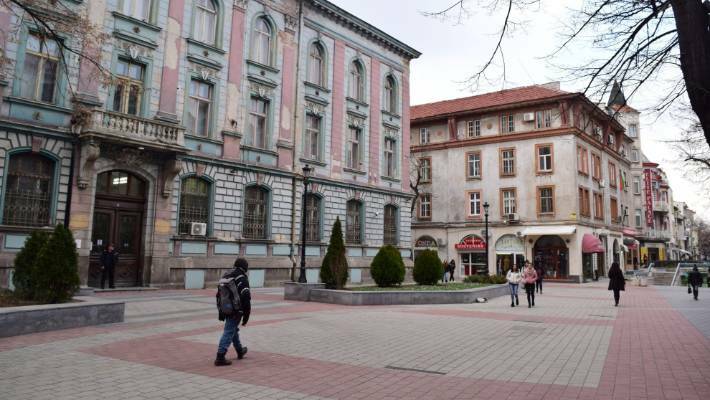 Eager to see modern Plovdiv, I headed towards the town centre, where I expected to step back into the 21st century, but even this was crammed with historic sites. In a square in the middle of the main street was a 15th century mosque and beside it, below street-level, was an 1800-year-old Roman stadium. Originally it was large enough to hold 30,000 spectators, but only one end of the stadium had been excavated and restored. The rest of the structure remained unearthed, running beneath the city's main street. An 11-metre high granite statue of a Soviet soldier looms over Plovdiv from a hilltop near the centre of town. 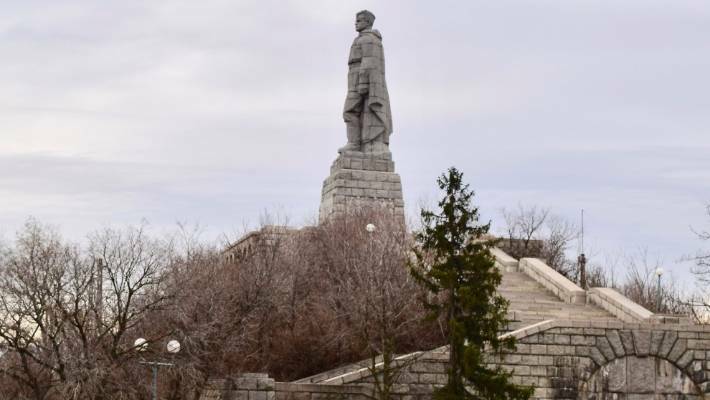 Built to commemorate the Soviet soldiers who died in WWII, it has been repeatedly vandalised by those who want the communist relic demolished. Plovdiv is filled with these fascinating juxtapositions of history. At the end of the main street was a construction site for a new motorway which had unearthed another block of ancient Philippopolis. A Roman road even ran beside the swimming pool in the basement of my hotel. It was a curious problem to have – how do you develop a city when every inch seems to have an archaeological site lying beneath it? Elsewhere in Europe, these sites are often fenced off and turned into tourism attractions. But in Plovdiv, the ruins have become part of the modern city and feel more authentic for it. Pragmatic development has brought the city's history to life. Despite the temperature being around freezing level, Plovdiv was also surprisingly lively. I came to a large well-kept park, where about 20 old men were gathered around picnic tables playing chess and cards, a scene which seemed as ancient as the ruins. Nearby, screaming children ran amok in a playground beside the remains of Roman pottery kilns. As night fell, restaurants and bars swelled with happy-looking Bulgarians, often eating outside despite the sub-zero temperatures. The hilltop site Nebet Tepe has been occupied for over 6000 years and is an excellent place to view the sunrise or sunset over Plovdiv. I found an excellent, old low-ceilinged tavern in the Old Town and ate a meal for the price of a beer in New Zealand. Bulgarian cuisine has been influenced by its neighbours; Greek salads, Turkish kebabs and meaty Slavic fare – the menu included apparent Bulgarian classics such as chicken hearts fried in butter, tongue, pork neck and pig knuckles. I opted for a vegetarian selection: a dish of vegetables cooked in a dense white cheese, along with fried eggplant, home baked bread and a hot plate of sizzling capsicums, all accompanied by a half-litre of Kamenitza, the excellent local lager. I became better acquainted with the country's eccentric culture in my hotel room. Turning on the television, I found not one, but four channels exclusively playing Bulgarian folk tunes and accompanied by the most bizarre music videos I had ever seen. Picture stocky men in traditional Bulgarian dress (puffy white shirts with embroidered vests) serenading a Bulgarian woman with flutes and breaking into elaborate dances. 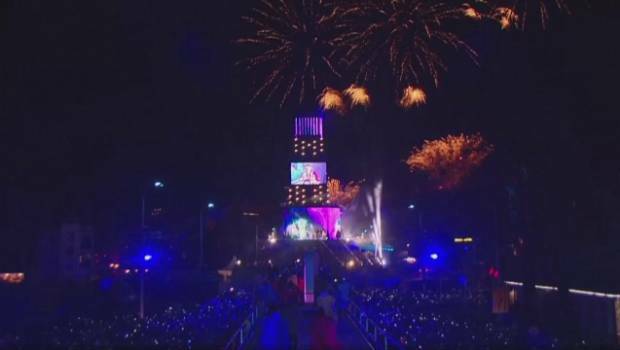 The videos looked like they had been filmed using a handycam from the 1990s, while the performers appeared startled, like they had just been dragged off the street and told to dance. Plovdiv's massive Roman amphitheatre was built nearly 2000 years ago and still operates as a concert venue. I spent the next day visiting the excellent Plovdiv Archaeological Museum and climbed a hill to an imposing statue of a Soviet soldier that loomed over the city, offering a vantagepoint of the valley and surrounding mountains. In the afternoon, I popped into a traditional old tavern to ward off the cold and spent the evening enjoying another excellent meal for pocket change. I may have been the only tourist in Plovdiv, but I don't think I'll be the last. The author is a New Zealand freelance journalist based in Antwerp, Belgium.